The LVCVA promotes the growth of the economy to areas outside of the Las Vegas valley, including Boulder City, Laughlin, Mesquite and Jean/Primm. In an effort to drive visitation to Boulder City (primarily day trips), build equity in Boulder City&apos;s brand, position as a perfect getaway for Las Vegas residents and to generate awareness of the Boulder City product, the LVCVA will continue to implement a marketing campaign that mainly targets Henderson and Las Vegas residents. Messaging will primarily focus on the small-town charm and historic appeal of the destination, while including a special event message to provide incentive for day-trip visitation. Over the next three years, the LVCVA will continue to focus on driving immediate visitation to Laughlin via a retail/product and special events message. In an effort to attract new visitors, the LVCVA will continue to implement an annual campaign targeting the Las Vegas consumer. All marketing efforts, including media planning, interactive marketing, creative development and public relations, will focus on driving visitor volume, educating consumers about the Laughlin brand and increasing website activity. 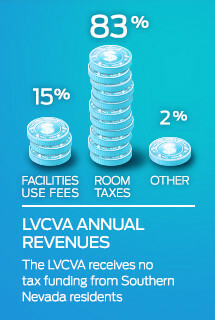 Looking towards the future, the LVCVA will continue to aggressively implement marketing campaigns that garner immediate demand, increase repeat visitation and attract new visitors to Mesquite. In addition to brand and product awareness, all marketing initiatives and programs will communicate a more hard-selling booking message with the rates and availability and special offers programs. As always, the LVCVA also will assess new opportunities to market the destination. Jean and Primm, at the California/Nevada state line area, offer a vast array of exciting opportunities to locals and highway travelers alike. The LVCVA continues to promote these two unique destinations&apos; premier golf, luxury outlet shopping, A-list entertainment and thrilling attractions with a message of day-trip proximity for locals. 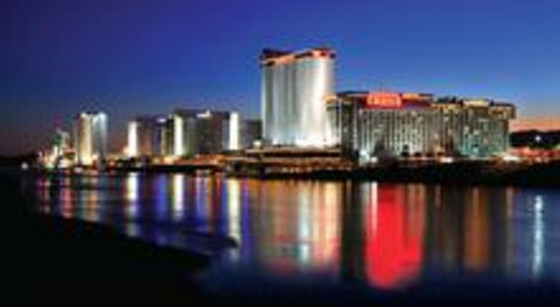 The area also serves as the gateway to the luxury and excitement of Southern Nevada to highway travelers on Interstate 15.